Before you are faced with making difficult &mdash; and potentially costly &mdash; decisions at a funeral home, be aware of some ways you might be misled into spending more money than you should. Before you are faced with making difficult — and potentially costly — decisions at a funeral home, be aware of some ways you might be misled into spending more money than you should. Many of the costs associated with a traditional funeral can be difficult to compare in the best of times, let alone when you are grieving over the loss of a loved one. Making matters worse, the funeral industry isn’t exactly known for being overly transparent. That lack of transparency can leave you or your loved ones vulnerable to misleading sales tactics. 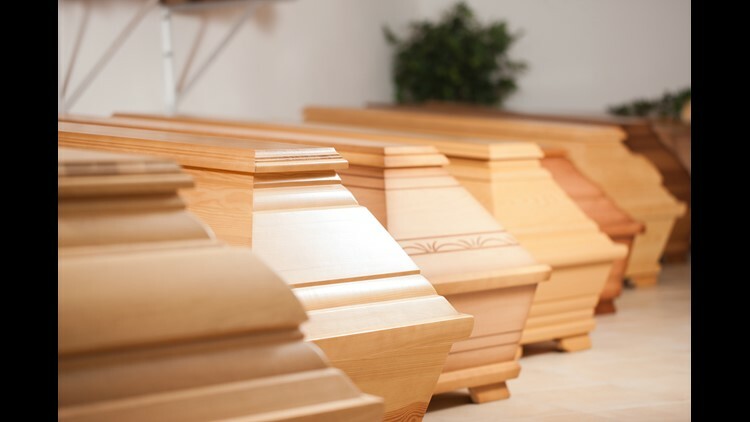 A recent study by the Consumer Federation of America found 20 percent of 142 funeral homes surveyed failed to list prices and options for consumers who buy an outside casket or container despite standards outlined in the Federal Trade Commission's Funeral Rule. If you opt to go with the traditional burial, you should know your first and strongest protection is in the Federal Trade Commission's Funeral Rule. The rule’s first point grants you the right to “buy only the funeral arrangements you want.” That means you can’t be forced to buy an entire package if you don’t want or need all of the services included in it. The FTC doesn’t require funeral homes to post their price lists online (California is the only state to mandate online price menus). That being said, when funeral homes voluntarily post their prices online anyway, it could be a good sign for consumers, says Joshua Slocum, executive director of nonprofit consumer advocacy for the Funeral Consumers Alliance. If a funeral home doesn’t have much information on their website, Slocum suggests sending them an email asking for the list. “Any decent funeral home will [send a price list],” he says. If a funeral home insists on sharing prices only if you visit in person, you might be better off moving on to another business. Price transparency is a good indicator that a funeral home wants customers to know exactly what they are paying for. Even if you have a list of prices, always ask for specifics. In a recent survey of 142 funeral homes, for example, 22% of advertised prices for “simple cremations” did not actually include the cost of the cremation itself. Prepaying for a funeral can make it easier for family members to manage funeral costs because it allows you to pay for all or most of the funeral home’s services ahead of time. But prepayment may not be the best option for you. If you’re not careful, you could lose the money you’ve prepaid. The funds are usually nonrefundable, and if the funeral home goes out of business or misappropriates them, you could lose them. The FTC has a list of questions you should ask the director before you prepay in its funeral planning guide. It's ultimately up to you. If you do decide prepaying for a funeral is right for you, then you should make sure that money goes into a trust or into an insurance policy. Doing so will make sure your money is protected if the funeral home goes out of business. Putting your money in a policy or trust also often means that that money is transferable so it will go with you, to any other funeral home or service if you change your mind. The largest expense in most funerals is the casket. The median cost of a casket in 2014 was $2,395, according to the&nbsp;NFDA, accounting for one-third of the total median cost of a funeral ($7,181). The largest expense in most funerals is the casket. The median cost of a casket in 2014 was $2,395, according to the NFDA, accounting for one-third of the total median cost of a funeral ($7,181). The Funeral Rule also outlines two consumer protections regarding caskets. The first is that you don’t have to get one if you’re getting a cremation. You can purchase an alternative container made of unfinished wood, pressed wood, fiberboard, or cardboard instead. The second protects your right to use any casket or urn from anywhere you want. So you can shop around for a cheaper casket online or at a different store and the funeral provider can’t refuse to handle it. If you’re looking to save on the costs of a casket, choosing caskets made with inexpensive materials is the key. For example, instead of a mahogany casket, find an identical casket made of cheaper material like birch or a veneer. The burial container is another large expense that you can easily avoid. On average, the burial container — the box that the casket would be put into — adds $1,327 to your bill. Zeldin cautions consumers to be “very wary of any funeral directors that try to upsell you on a customized outer burial container with engraving.” It’s not worth it, unless you just have the extra money laying around, she says. 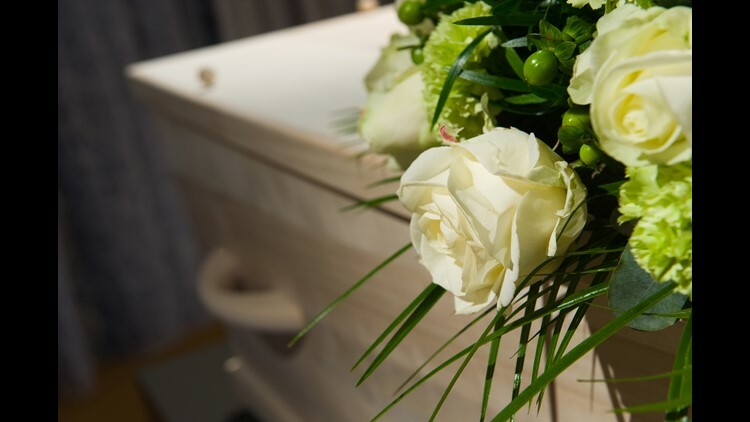 Burial containers are not required by state law; however, some funeral homes may require that you purchase a burial liner or container to help keep the grave from caving in. If they do, the Funeral Rule protects your right to see a written burial container price list if the containers aren’t listed on the general price list. The container can be a vault, or a liner made of either cement or plastic. The liner is usually cheaper. If the funeral home doesn’t require a burial container, don’t get one. She said to keep in mind what actually happens during the decomposition process. The body releases gasses naturally, so either the box will eventually explode, or the seal will have to let air in somehow, defeating the purpose of the extra couple of hundred dollars you’d pay. No state law requires routine embalming for every death. In cases when embalming isn’t necessary, such as a direct cremation, skipping the procedure could save you $695 on average, according to the National Funeral Directors Association (NFDA). Make sure to check your state’s laws before you cross the service off of your list. Some states require embalming or refrigeration if the body won’t be disposed of in a certain amount of time, while others don’t have embalming requirements. Even if it isn’t law in your state, the funeral home might have a policy of embalming before public viewing. In that case you can ask for a private viewing without embalming or take your business elsewhere.